Deshilachado: Bloques de patchwork. Tutoriales. / Quilt blocks tutorials. Bloques de patchwork. Tutoriales. / Quilt blocks tutorials. Creo que paso el mismo tiempo estudiando que cosiendo. Cuando quiero hacer un nuevo proyecto investigo cómo hacerlo, diferentes técnicas, materiales,... Por eso tengo tantos libros y he recopilado muchos tutoriales. Quiero compartir con vosotros algunas páginas web o blogs que tienen muy buenos tutoriales de bloques de patchwork. I think that I spend the same time studying than sewing. When I want to start with a new project I do research to find out how to make it, different techniques, materials... That is why I have so many books and collected so many tutorials. I want to share with you some websites or blogs with very good tutorials about patchwork blocks. Erin es la autora del blog Why not Sew? Quilts, en el que podemos ver la evolución de sus creaciones, que muestra con todo detalle. El año pasado participó en un proyecto conjunto con otras quilters llamado Hand Pieced Quilt-A-Long que recogió en una serie de post en los que explicó la elaboración de un quilt de doce bloques. Podemos ver técnicas de corte y montaje e incluso de acolchado a mano. Erin is the writer of the blog Why not Sew? Quilts, where we can see the evolution of her creations, which shows in detail. 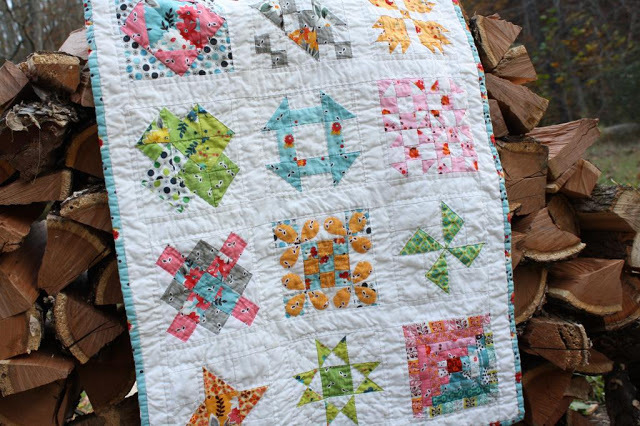 Last year she took part of a joint project with other quilters called Hand Pieced Quilt-A-Long that she gathered in a series of posts where she explained the creation of a quilt with twelve blocks. We can see cutting, assembly and even hand-quilting techniques. Otra quilter que tiene una magnífica técnica que enseña muy bien es April Rosenthal. 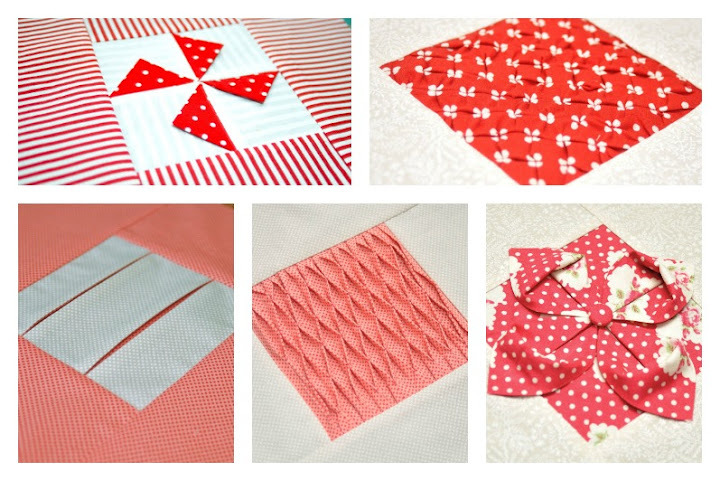 Un buen ejemplo es su tutorial del four patch quilt block. 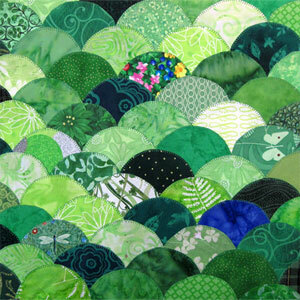 Another quilter with a great skill that teaches very well is April Rosenthal. A good example is her four patch quilt block tutorial. 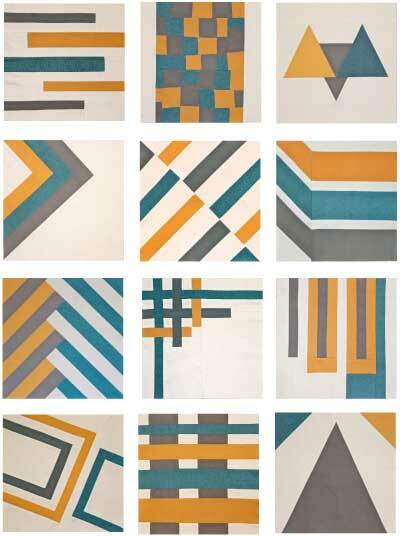 Jeni, de In Color Order, es una de mis quilters favoritas. Publica un tutorial de un bloque mensualmente, Block of the Month, y aunque es un poco escueta en sus explicaciones, merece la pena estudiar su técnica. Jeni, from In Color Order, is one of my favorite quilters. She posts the tutorial of a block every month, Block of the Month, and despite her concise explanations, it is worth studying her technique. 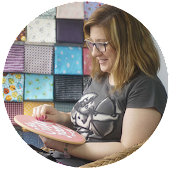 Otro de mis referentes es Jacquie Gering, de Tallgrass Prairie Studio, un blog imprescindible para los amantes del patchwork moderno. No publica tutoriales regularmente, pero los que escribe son estupendos, lo mejor en esta rama del patchwork. Echad un vistazo a su tutorial del log cabin. Another one of my models is Jacquie Gering, from Tallgrass Prairie Studio, an indispensable blog modern patchwork fans. She does not publish tutorials regularly, but those she writes are great, the best in this branch of patchwork. Take a look to her log cabin tutorial. Y en patchwork moderno también está muy bien la sección BOM ( Modern Block of the Month) de Sew, Mama, Sew!, con un tutorial mensual. And on modern patchwork is also very nice the section BOM (Modern Block of the Month) of Sew, Mama, Sew!, with a monthly tutorial. De temáticas más concretas, en Sewn Up by TeresaDownUnder encontraréis una serie de tutoriales de bloques con textura. About more concrete subjects, on Sewn Up by TeresaDownUnder you will find a series of textured blocks tutorials. Y en Thought And Found tutoriales de bloques estrella. And on Thought And Found star blocks tutorial. Para terminar, la página web McCalls Quilting cuenta con un completísimo apartado de tutoriales de bloques. 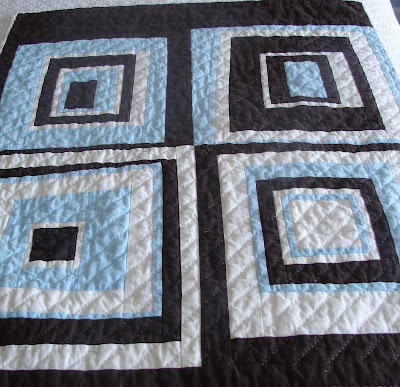 Finally, McCalls Quilting website has a comprehensive section about block tutorials. ¡qué util todo! !, muchas gracias! !